Spectacles or contact lenses are only one part of a bigger picture when looking after your eyes and making sure you can see as well as possible. Lenses help to accurately focus the available light onto your retina. But this cannot change the problem of insufficient or poor lighting conditions. If you are struggling to see clearly, particularly when the daylight fades in the evenings, then improved lighting is likely to make a big difference for any close vision tasks like reading or sewing. In poor lighting your visual system has to work harder, which often means you will get tired more quickly. Research also suggests that concentrating in poor light might very well accelerate the onset of myopia. Poor lighting is especially a concern as you get older, when the amount of light reaching your retina diminishes considerably. Even with completely healthy eyes, a 60 year-old requires around 3-4 times as much light as a 20-year-old to achieve a comparable level of vision, while even a 40 year-old will already require around twice as much light. 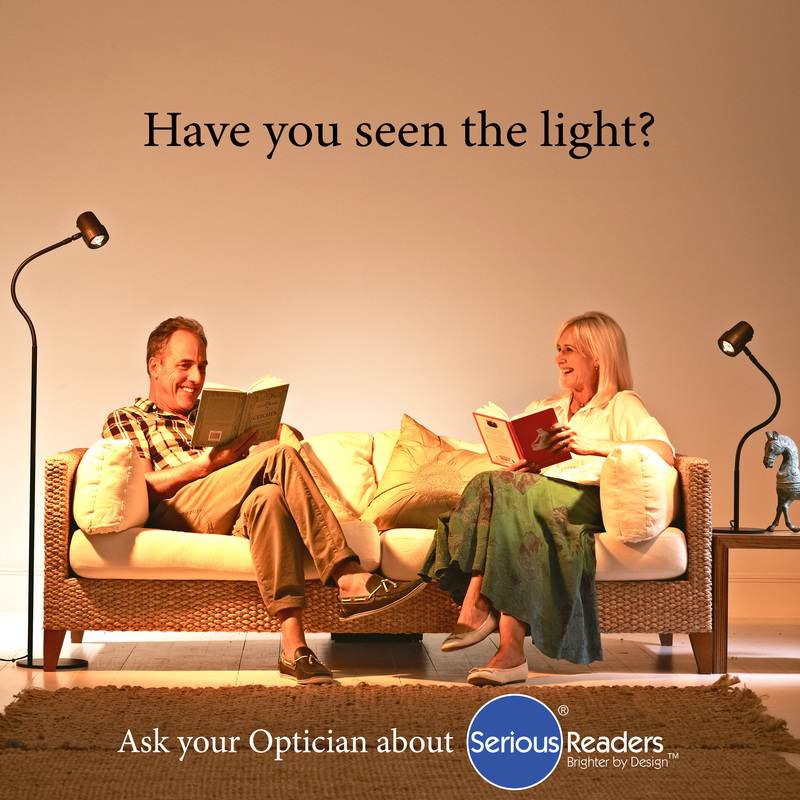 Barnett Opticians recommends and endorses the use of "Serious Readers" reading lights. We have 2 lights available to demonstrate in the consulting room. To save the VAT on your purchase, enter the following code: OPT0987 (OPT zero, nine, eight, seven) at check-out online o when calling Freephone – 0800 028 1890.